IMPORTANT UPDATE from Slotocash and Miami Club Casino. We regret to inform you that Slotocash Casino and Miami Club Casino no longer accept Australian Players as of January 14th, 2019. Sorry to our Australian friends! 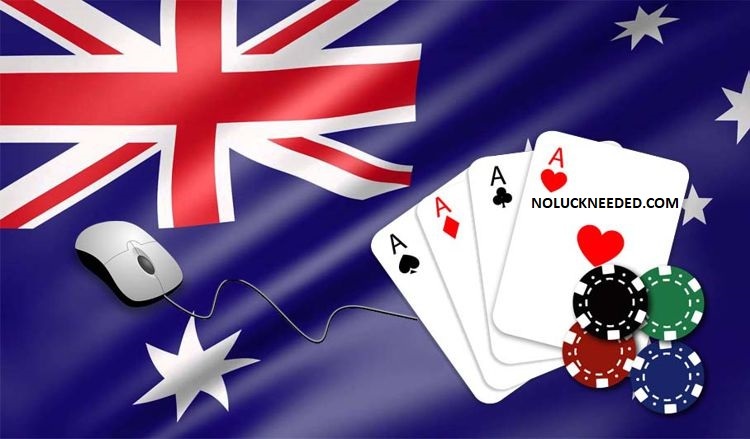 You can find Australian online casinos and reviews here. Mzmelabella, I know! I am sure they had to do it for some reason. SORRY! Looks like Uptown Pokies and Fair Go are still open for Australia though. IVE HAD NO EMAILS OR MESSAGES IN MY MESSAGE CENTRE OF THIS HAPPENING. AND I CAN STILL LOG IN AND DEPOSIT ON MY SLOTOCASH ACCOUNT!?!? IM CONFUSED WHERE DID U GET THIS INFO FROM N SLOTOCASH SHOULD OF INFORMED US PRIOR TO THE ACTUAL DAY OF CLOSING TO US. MICROGAMING GAVE ALL PLAYERS 2 MONTHS NOTICE OF THERE CLOSING SERVICES TO AUS PLAYERS. THEY KEPT US VERY INFORMED AND UP TO DATE WITH THE EVENTS. Mzmelabella, I got the email from the affiliate manager from SlotoCash and the rest of the group. They did not specify whether they are no longer allowing new registrations or if all Australians were no longer allowed to play. Sometimes when casinos close to a country they still allow existing players to continue. We will have to wait and see. Again, they do not decide to disallow players because they want to, the more players the better for them. It is surely something to do with laws and regulations. Please do not get upset because I shared information early. Yeh I'm not disappointed in the decision to stop allowing Aus players. We been through the online casinos cease to be able to service us because of new laws passed that make it very hard for casinos to allow Aus players to play and legally. So the fact they can't have us or what ever the reason is, that's not why I'm annoyed. I'm annoyed because there has been no communication whatsover to current players from the casino directly even just breifing us on anything. It's all good n great that they are letting affiliattes like you guys but from my perspective I think I have an equal right to an affiliate when to be given the info to by them and before the timeframe kicks in. Even if it is no new registration how hard is it for SLOTOCASH to email players with a short advisement just so we are kept informed you know what I mean it's just a little bit of courtesy for people who actually deposit and play there you know n contribute to there success as a casino but a little common courtesy of whatever info that want to advise to those who could be or are effected. I don't maybe im expecting too much from them. They aren't a MICROGAMING casino and maybe cos MICROGAMING just operate in general to a high level I expect all casino brands to do the same. MICROGAMING walked all there Aussie playees throughout this process even when it wasn't guaranteed they might have to Close off to us they still kept us informed. N obviously SLOTOCASH do things differently. They can send us an email sometimes 2 a day with bonus offers n so on but just a quick advisement on what might or will affect Aus players they can't do. Hahaha. I'm not pissed off or anything it's a casino at the end of the day I'm just disappointed because I thought they were a better casino than this that's all they were never my number 1 go to casino they were my third haha behind fair go (1) & uptown pokies (2) cos they trade in Aus dollars where SLOTOCASH is us dollars so I still deposit at sloto couple times a week but not like I play with the other 2. Mzmelabella, I really do not know the specifics, but if you are effected they will let you know. They have to tell affiliates and websites first so we stop sending players from Australia to the casino. Also, you may not be effected at all as a current player and that is why they have said nothing yet. Mzmelabella, It's all good! I just feel bad because I know how this feels! I've gone through it personally with casinos I loved. Mzmelabella, I was just told it is a total exit. AU players will no longer be allowed to play. I am sorry! They will notify players on Wednesday probably. silversand euro casino do same thing !! they do not advise us before , I was playing and I lost , then I deposited again , and when I wanted to play I could'nt !! so I loged out and loged in again and I had a message , ' not allowed to login ' , I asked them to live help in their website , and they said they do not take frenches players more longer !! that was near 8 years I guess I played here and see how they take care about us !! that is too bad they do not have time to send us an email to explain why they have to do this , and also a little time before to close our account !! !